February is one exciting month for me especially since I get to attend London Edge! The first show of the year with another happening in September usually. 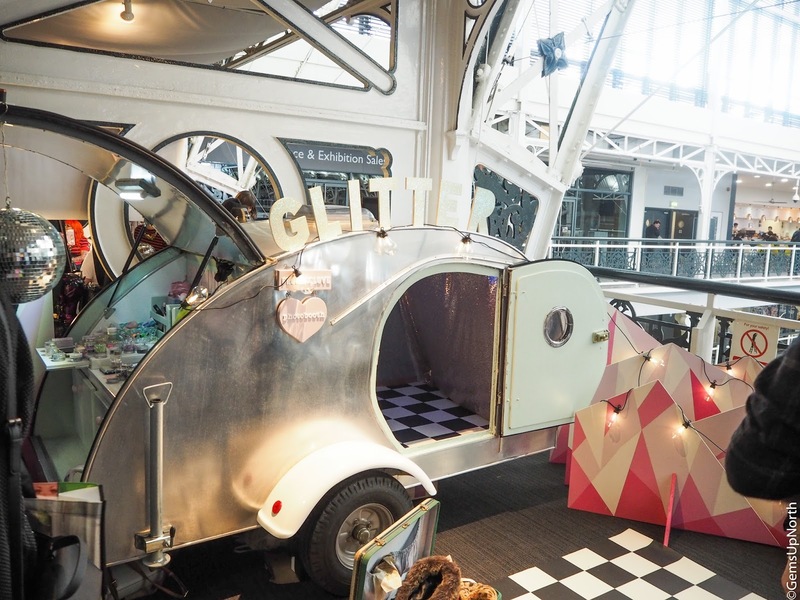 Edge is an alternative trade show, showcasing loads of different brands from fashion to beauty to homeware to accessories; it truly is one of my favourite events of the year! 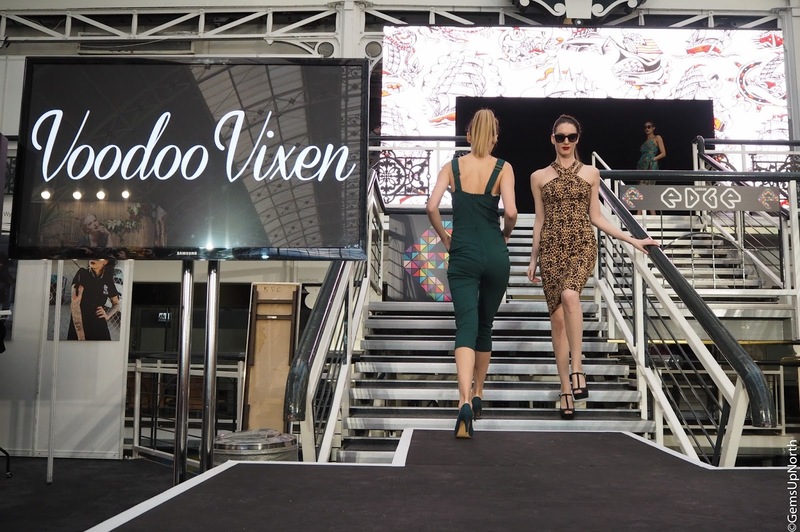 This was my third London Edge and this year I had a VIP blogger pass which was fantastic, I received a VIP press bag to take home with me, the bag had a few goodies inside from some of the brands at the show. I also met up with some of my blogger friends again although there were a few more of us this year, we casually named ourselves the ’Edge Blogger Squad’ we definitely need pins or patches for the next show or squad meet up. 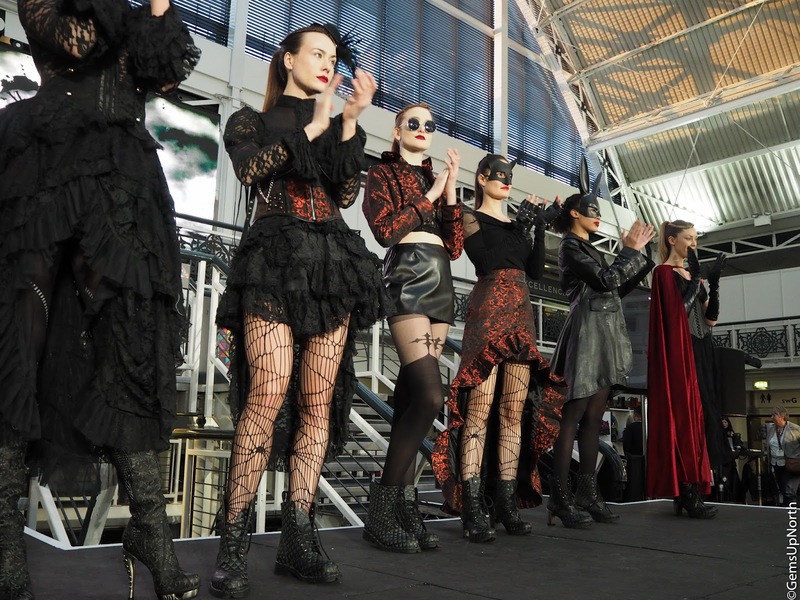 It was lovely to catch up with everyone; Kim (The Colour Chronicles), Jess (I AM FOXXTAILS), Rach (Rachel War), Lucy (LJLV), Emma (Emma Inks), Kinga (Rock This Runway), Vicki (Vicki Amaya), Darcie (Bound in Bone) and Charley (Being Charley). Edge seemed a little quieter this time round although I only attended on Sunday so I’m unsure if Monday was a little busier for everyone. 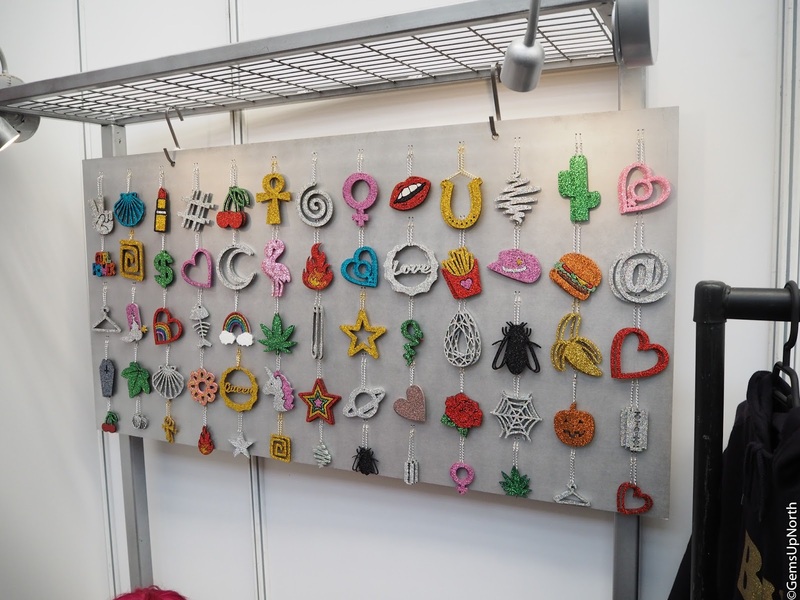 There was some returning brands including; Manic Panic, TUK Shoes, New Rock, Charlotte Clark Designer Maker, Jelly Jolly London, Collectif and Punky Pins to name a few. 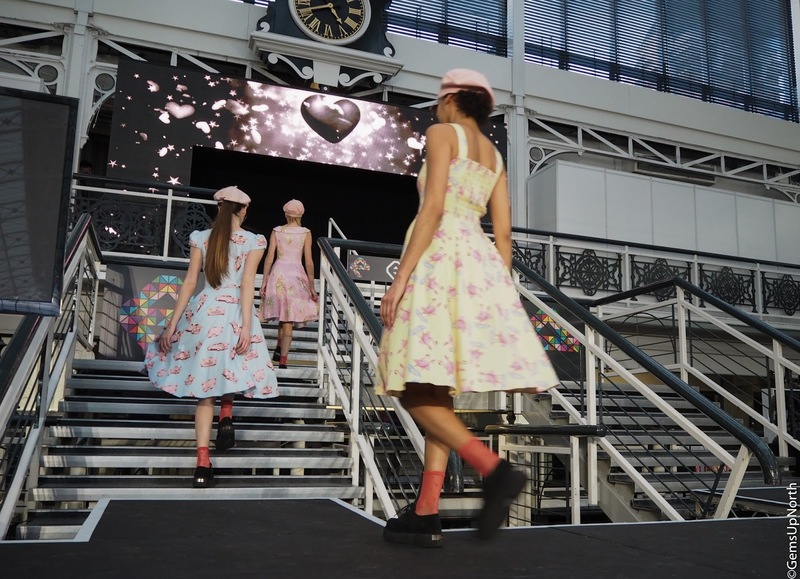 There was also some new brands to get to know like; Love UR Look, Frilly Industries and No Basic Bombshell; it was great to chat to the teams and find out what the new brands was all about. Our first stop was the From Nic Love’s glitter bus who was offering free face glitter and gems so all 8-9 of us took turns to get glittered, jump in the bus for photos and ended with a group photo. I was really impressed with my face gem design, I opted just to have gems and no glitter for a change and they stayed put all day, I didn’t wanna take them off when I got home late on Sunday; I’ve actually saved the gems in hopes I can get another wear from them. 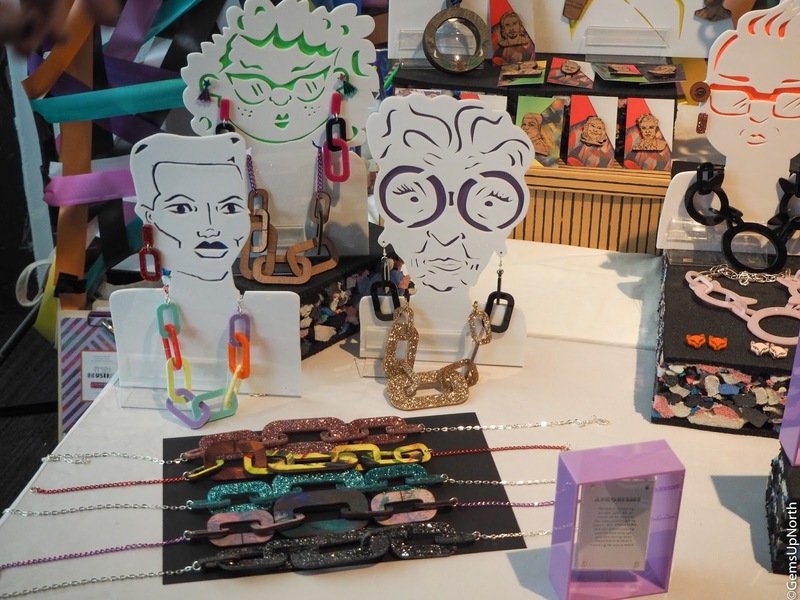 As the squad continued around the show, we got talking to a few different brands. 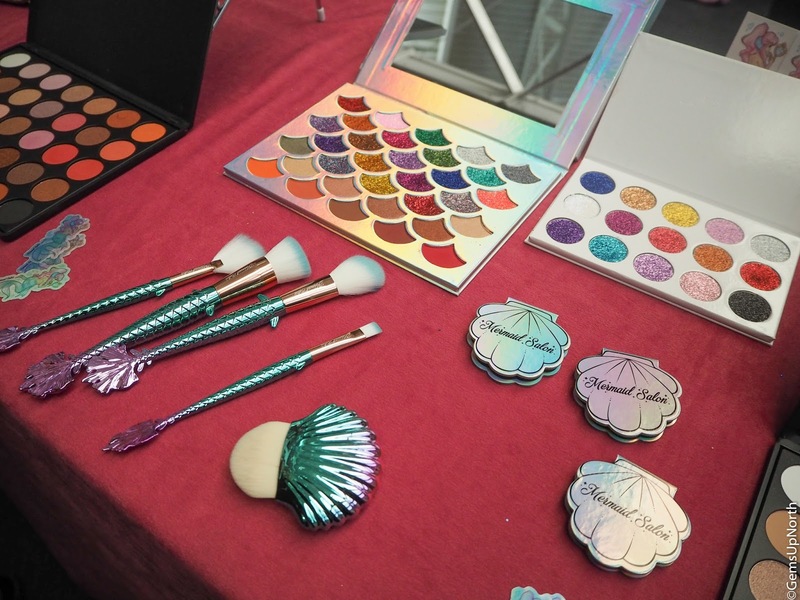 Mermaid Salon had a full stand this year after only having a small table in the press area back in September, I was excited to see them again and actually talk to the team. 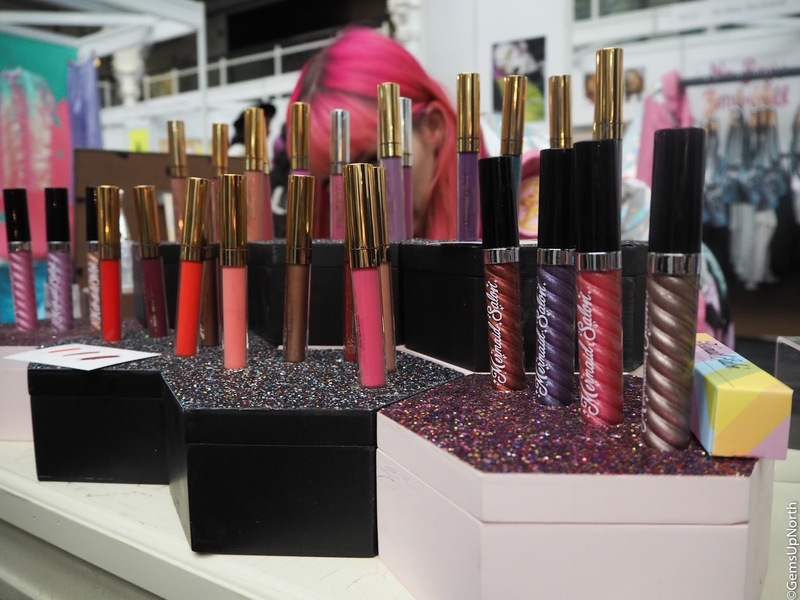 Their products are so fabulous, full of glitter, bright shades, amazing designs and all their products are vegan and cruelty free. The team gifted me a gorgeous luxe lipstick from their new collection so watch out for a full review of that coming up on GemsUpNorth soon. 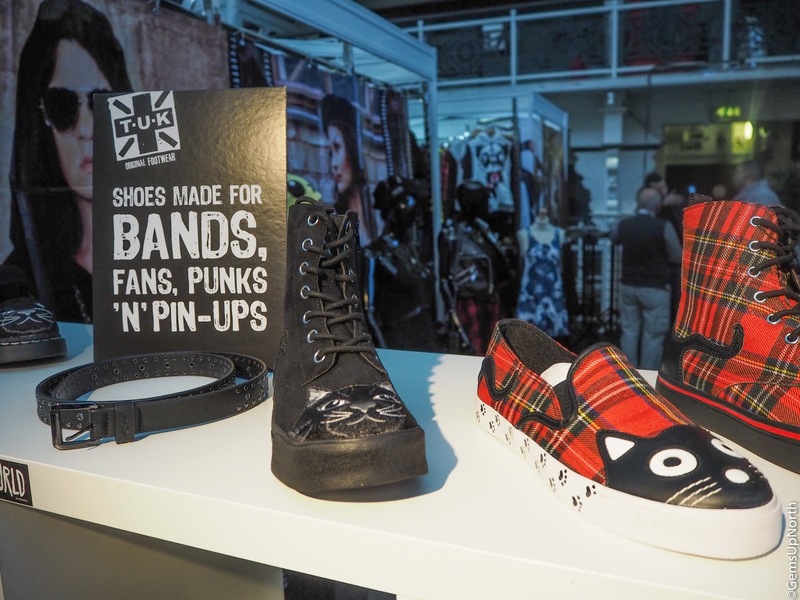 TUK Shoes are one of my favourite shoe brands and I was eager to see what's new from them and whats coming up over the year. 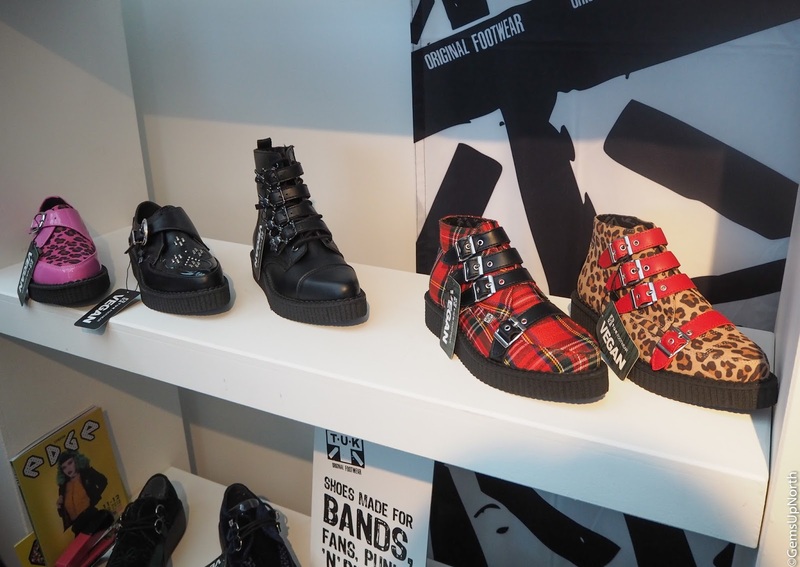 They had some amazing styles on show including a gorgeous tartan boot along with some new styles of creepers. You know your in safe hands with TUK; good quality, long lasting and amazing styles! Speaking of shoes, YRU was also showcasing at Edge last weekend, I've been a fan of YRU for some years now having had a few pairs of their flatforms in the past and still rock a pair today. They had so many shoes on the stand so theres loads coming up from them in the next season. I partially liked the purple/green/black creepers which to me have a big Beetlejuice theme going on so I must get my hands on them. 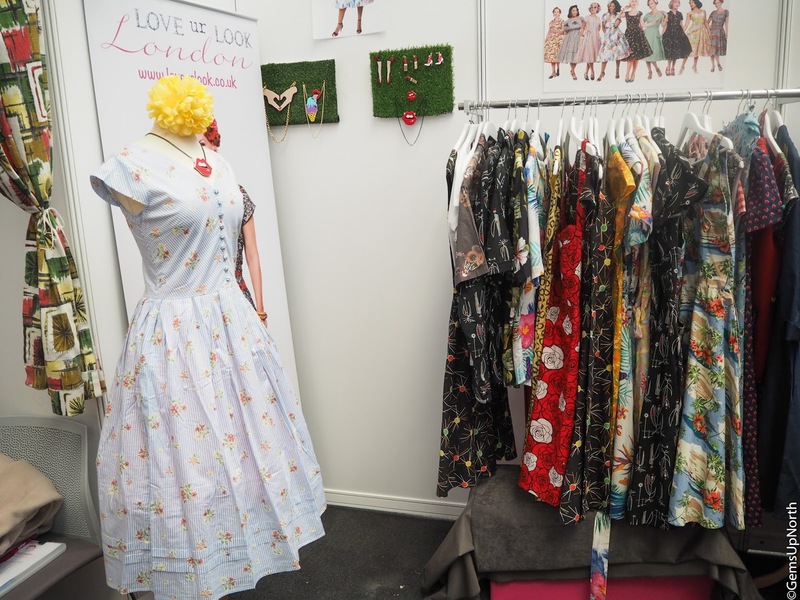 Back in September I first discovered Jelly Jolly London at Edge and I was super happy they was here again this year. 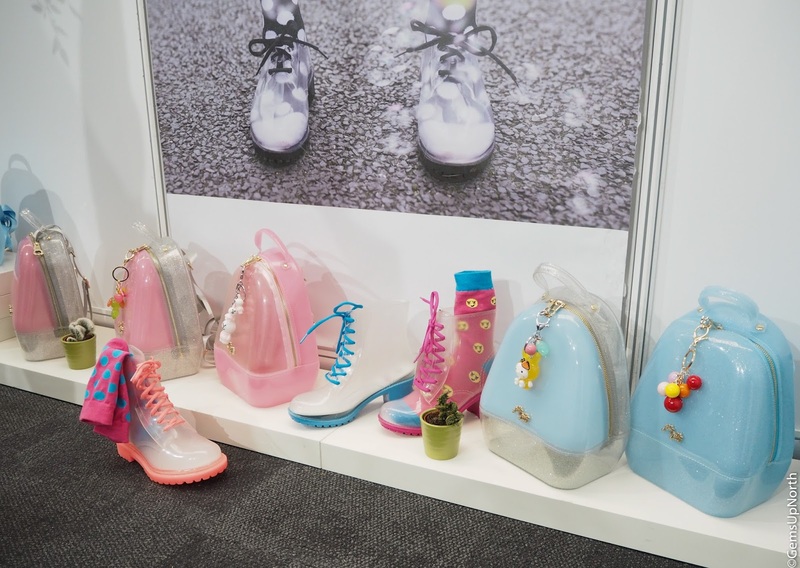 Jelly Jolly create jelly bags and boots that are colourful and fun and have all the Harajuku vibes going on. 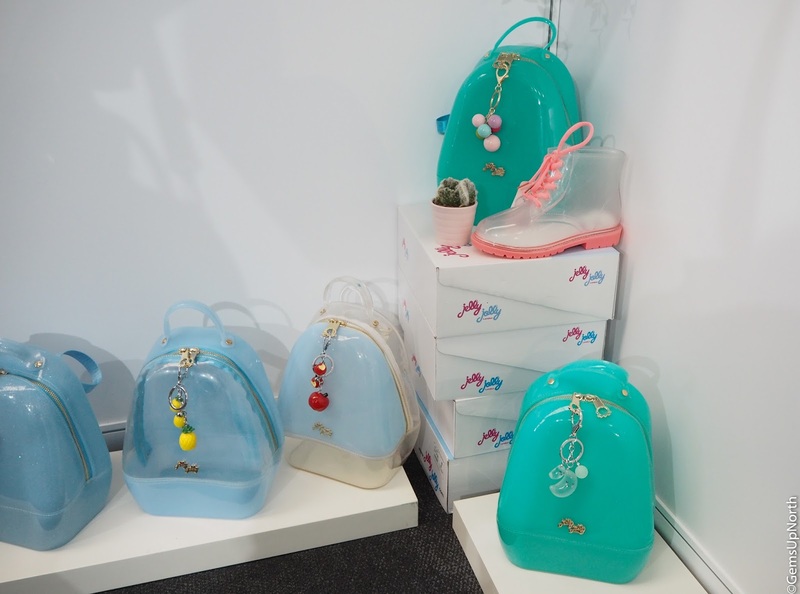 I personally think these bags are great for festival season, they are waterproof being jelly-like material, easy to carry being a backpack and come in a range of colours, glitter shades and plain black too. I definitely need one of this before my festival season starts. The team gifted me a cute as hell banana keychain which has took place on my bag but I will eventually get an actual Jelly Jolly bag to put it on. 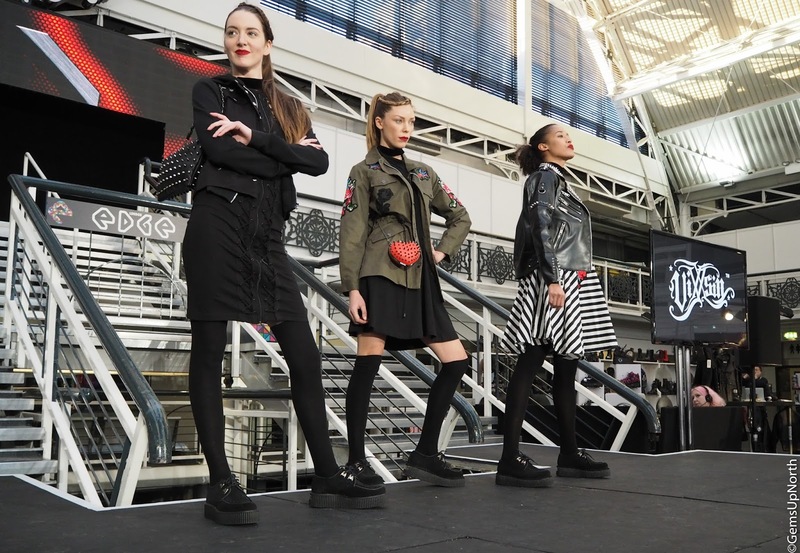 The London Edge catwalk runs throughout the day at different times, the show features lots of brands from the show and a stylist edit at the end. 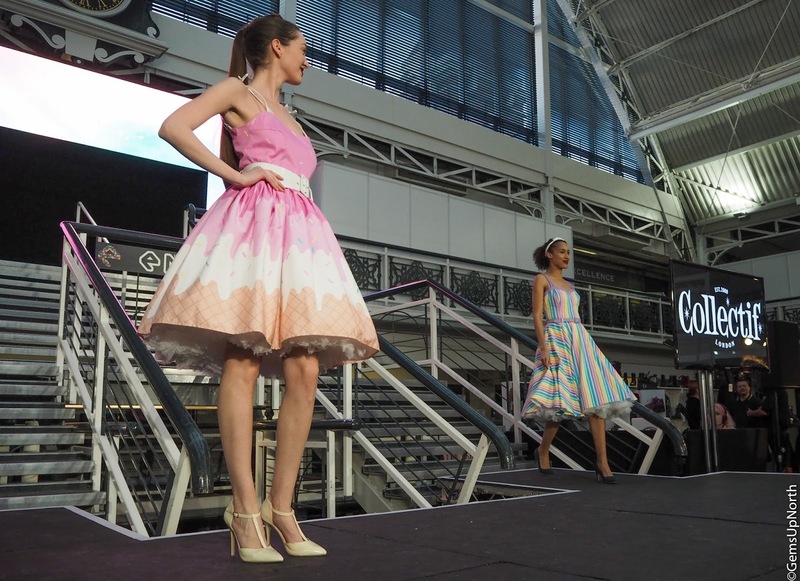 We caught the last show of the day which was quite a short show and had a lot of vintage inspired clothing featured. 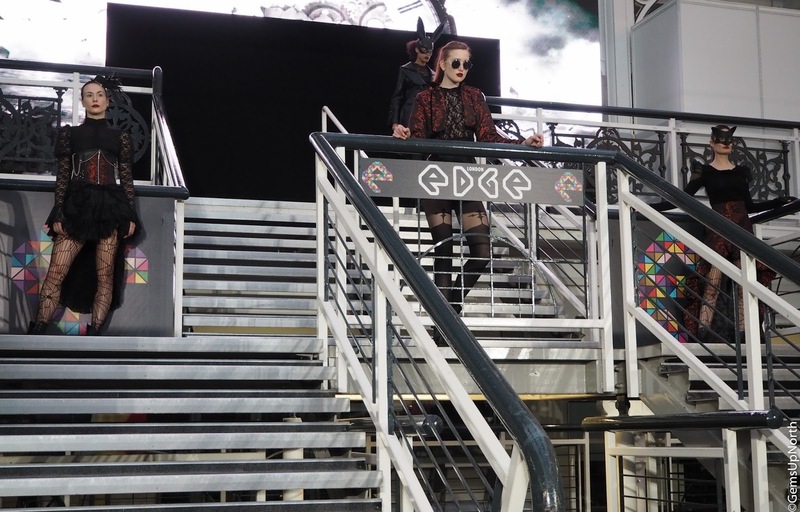 The catwalk is definitely a favourite part of Edge for me, I enjoy seeing the brands garments styled with other brands and its good to see what shoes and accessories are used with each outfit. After the trade show ended on Sunday there was an after party which is usual schedule for Edge, I've never been able to attend the party before due my train home but this time I got to go for a few hours. The party was held at Islington Metal Works which is a fantastic building and I literally didn't want to leave when it came to it, the bar was an old tube carriage and there was a party room, the decor was urban yet fun and the place had the original floors! London Edge sure know how to celebrate with Dis-grace running the party with a DJ playing requests and playing punk rock favourites and weird and wonderful performances. Next year I want to stay over so I don't have to leave the party early. The next London Edge show has been announced for the 2nd - 3rd of September and I'm already excited and planning my trip down. 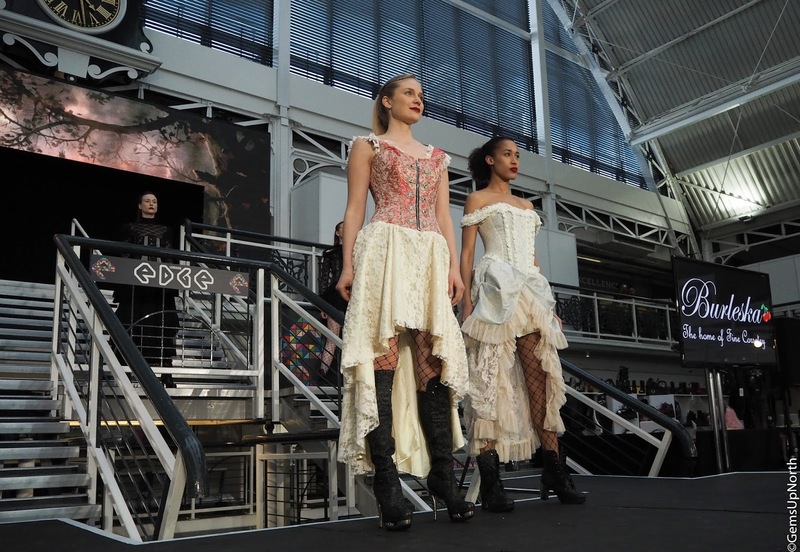 Thanks for an amazing day London Edge! Edge is always a good day and I always enjoy it, if you ever get the chance to go you should. 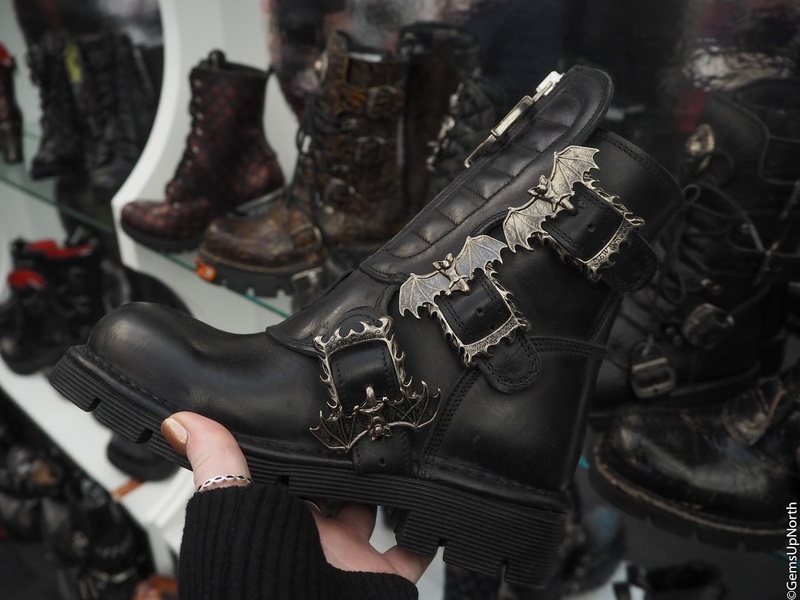 All of the shoes were amazing, can't get enough of them and yes the glitter bus, I hope to see that again, at festivals maybe. Thanks for reading lovely. You should definitely attend Edge if you get chance, its always a great day and so inspiring. How exciting your moving to London, good luck with the move. Thanks for reading.